2009-013 Honda TRX450R Project X Platinum Kit was developed and proven in the 2009 AMA outdoor motocross season, these championship winning kits have once again changed the game. Project X Platinum Kits feature the same top of the line products that top professionals rely on. The redesigned piston and rod combo gives your engine a lightweight assembly that is engineered to give you more power and durability. Revolutionary to the industry, these types of assemblies were once only available as custom pieces at custom prices. Now, off the shelf and available, these kits are just the thing you need to transform your bike into a racing machine without breaking the bank. 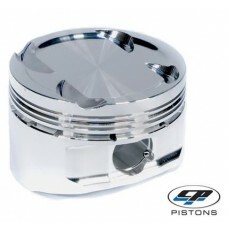 Project X Platinum Kit includes piston, pin, locks, rings, Carrillo rod and gasket.